Gold One International (ASX:GDO) is lifting the operational suspension imposed on its Ezulwini Cooke 4 shaft last month and will offer employment to workers who were dismissed for participating in strikes during October. 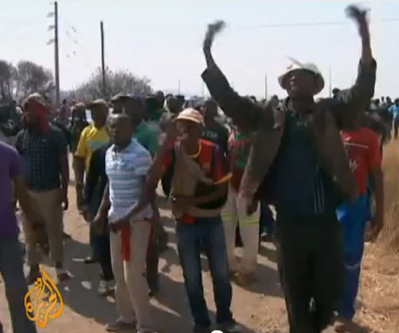 This follows an agreement reached with NUM and trade union federation Cosatu, said the company in a statement. “Workers who cannot be gainfully employed at Cooke 4 due to the unfortunate reduction in available positions at the operation will be granted settlement packages,” said the gold miner. "This process is in line with the Memorandum of Agreement entered into by Gold One with the National Union of Mineworkers (NUM) and the Congress of South African Trade Unions (Cosatu)‚” it added. Gold One president and CEO Neal Froneman acknowledged that some jobs had been lost‚ but added he was pleased the company has been able to offer positions and financially assist workers who remain unemployed. After the firing of Cooke 4 workers on October 15‚ operations at the shaft were suspended to ensure the safety of remaining employees and assets amid ongoing labour unrest in the mining industry, the company said. Operations at Ezulwini Cooke, located about 40km southwest of Johannesburg, in the province of Gauteng, South Africa, are now anticipated to resume by the end of November.